Specsavers has launched its latest ‘Priceless Eyes’ campaign with a short film asking real Australians how much they would charge if selling their eyes. In response to growing concerns that Australians aren’t paying sufficient attention to the health of their eyes, Specsavers and creative agency Cummins&Partners have delivered the ‘Priceless Eyes Project’. “Specsavers is committed to shaking Australians out of their ‘she’ll be right’ attitude by driving behavioural change when it comes to eye health,” Specsavers marketing director, Sarah McInnes. One participant described the experience as like an episode of Black Mirror, a dark science fiction show made popular on Netflix. “No one should suffer from avoidable vision loss and blindness in Australia but they are, unnecessarily. We knew that if we were going to be successful in getting people to stop and really think about their eyes we needed to create something really powerful and meaningful,” continues McInnes. 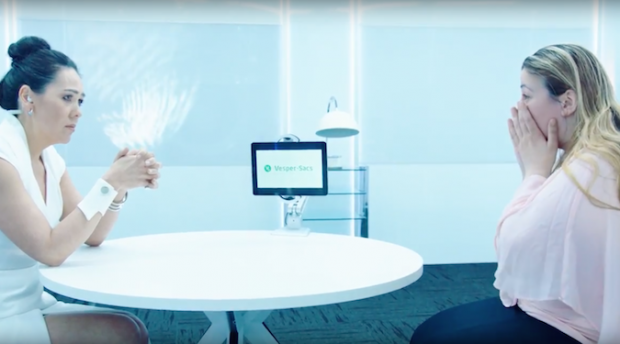 Specsavers says it went to great lengths to pull off the stunt, constructing a high-tech facility in a CBD office tower from scratch – complete with staff, a company backstory, brochures, a corporate video and even stationery. “The best advertising doesn’t just get people to think, but act. We believe this compelling piece of work will do both,” says Cummins&Partners chief creative officer, Sean Cummins. Directed by Cannes Lions winning Aaron Wilson from Airbag, the spot premiered on Sunday 9 September. The campaign is set for distribution over television, online, social media and print.